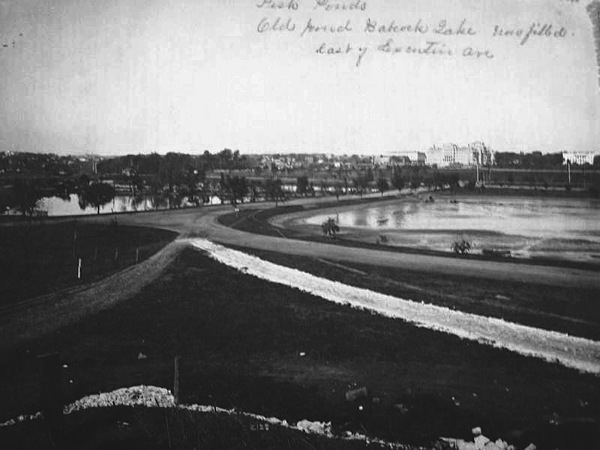 “Babcock Lakes,” Histories of the National Mall, accessed April 23, 2019, http://mallhistory.org/items/show/313. The Babcock Lakes, located west of the Washington Monument, served as spawning pools for the US Fish Commission. Mandated to remedy decreases in the availability of commercial fish in America, the Commission used Babcock Lakes to breed Eurasian Carp, introduced in the US because they were hardy, harmless, vegetable feeders, and were already adapted to artificial propagation. By 1896, the Fish Commission had distributed 2.4 million carp to restock fish supplies in North and South America. The lakes were subsequently covered by land dredged from the Potomac River during the westward expansion of the National Mall. The Babcock Lakes were located on the grounds of the Washington Monument, between the monument and the White Lot.